Have you ever dreamt about raising chickens in your backyard? Do you want to learn more about the distinguishing characteristics of chickens? Running Wild with Bossy Boy introduces readers to a lucky flock of chickens that express their traits as they run wild as chickens are supposed to do. Studies reveal unorganized play is vital to kids’ mental and physical development. Kids just need to be kids and to be allowed to explore their many interests without a rigid schedule. That’s What Messy Jessy Gets Active is all about. 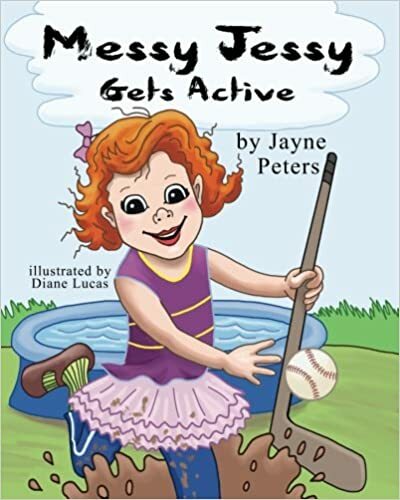 Jessy was introduced to young readers in her first book, Messy Jessy. The fun-loving girl has a broad interest in activities, everything from hockey to yoga, and she explains to her parents that she loves them all; it’s impossible to choose only one. When I began reading, I was worried I’d have to remember the times and dates for each entry because they were important to the plot. Once I realised they weren’t, I skimmed over them, which left me to concentrate on the story.